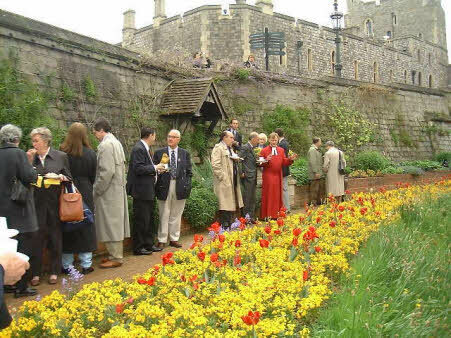 Friendly Support – Across both the UK and the rest of the world are individuals who, for a wide variety of reasons, have decided to become members of the Society of Friends of St George’s and Descendants of the Knights of the Garter. Membership of the Friends not only gives valuable and valued support to St George’s but also gives the opportunity for people to become involved in the wider community of the College of St George. 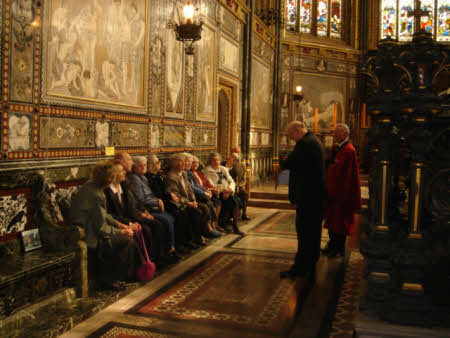 In the last few years Friends have substantially helped the Chapel by providing much needed and much appreciated general funding and amounts for specific projects such as the refurbishment of the West Front or the restoration of the Organ. Each Friend receives a copy of the Annual Review which is packed with articles and with information about concerts, lectures and outside visits. Articles in the last two years have included the bells and structure of the Curfew Tower and the conservation of some of the stained glass of the west window. 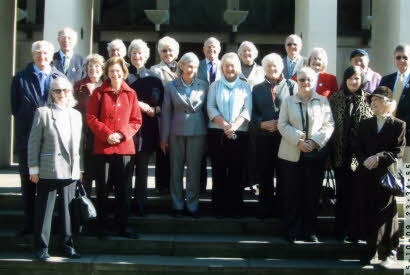 A visit to the Guards museum in London was a recent outing for some Friends and a visit to the bell tower of St Paul’s Cathedral is taking place later in the year. Visits are sometimes closer to home when aspects of life and work behind the scenes of the Chapel are on show; this year there are open evenings in July and November and an October weekend for Friends. Additionally Friends are able to apply for seats on Garter Day either inside the Chapel or on the stand outside the south front. 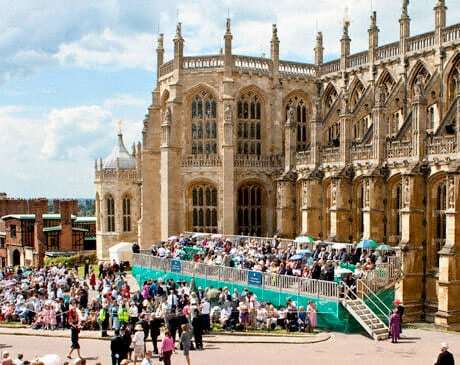 Members of the Friends and Descendants of the Knights of the Garter can be very close to home – many live in and around Windsor. However many maintain their link with and support for St George’s from many miles and even continents away. Wherever in the world you are reading this why not find out more and consider joining the Friends by <clicking here>. Previous PostPrevious Why not visit and see…?